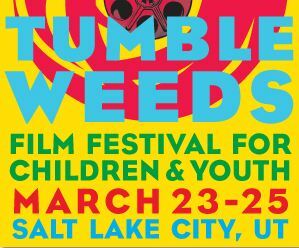 The Tumbleweeds Kids Film Festival is this weekend, and you will have the chance to win a pair of tickets to any showing! Three winners will be chosen tomorrow morning, Friday March 23rd. Winners must be able to pick up their tickets vouchers at Gines Auto Service, 4261 W 5415 S in Kearns. They must be picked up before 5:30pm tomorrow night (Friday) or they will be given away to somebody else. Sorry this contest is so short! I have been out of town, and when I arrived back home the vouchers had arrived in the mail. Work extra hard today to get as many people as you can to enter and mention your name on the entry form, and get as many entries as possible to make up for the short entry time! Any questions on this contest, contact michelle@enjoyutah.org. Hey, I only have my phone and there is no form, online to enter... Can you enter me in?